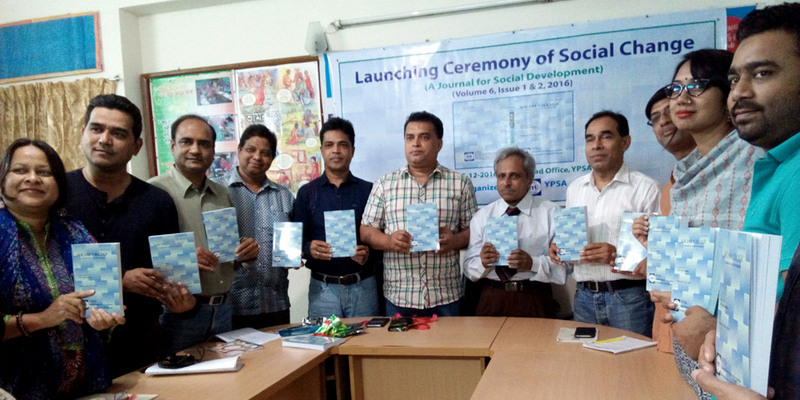 Launching Ceremony of Social Change volume 6, issue 1 & 2 , 2016 was held at YPSA Head Office, Chittagong on 5 December. Dr. MD. Shairul Mashreque, Professor, Department of Public Administration University of Chittagong was present as the chief guest in the program. Social Change is a journal for social development published by YPSA. It is a podium for the exchange of ideas among scholars, policy makers and development practitioners, their intellectual and constructive ideas would smooth the way to social transformation in a desired manner. Md. Arifur Rahman, Chief Executive of YPSA; Directors and other senior staffs of YPSA were present. Here is electrononic version of Social Change Download PDF 6.77 MB.